Cris Rogers, Rector of All Hallows Bow in London, recently travelled to Lebanon to meet Open Doors’ local church partners who are serving Syrian refugees. Here he shares what he learned from our church family about persecution, prayer and prosperity. Gifts aren’t always what you expect. 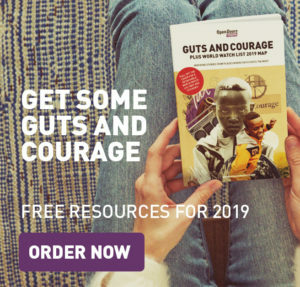 Sometimes we can think that we are a gift to the persecuted church because we can give financially and we can pray – but I want to flip our thinking around. We should think about the persecuted church as a gift to us. There is a naivety in our Western Christianity that makes us think we are in the best position, and those who are persecuted need our prayers to be like us. When we pray ‘God bless the persecuted’, what we mean is, ‘God, make their lives like ours’. But I met a Syrian pastor in Lebanon who told me, “Please don’t pray for us, because I can guarantee you will pray for the wrong things. Please don’t pray for safety. Please don’t pray that persecution will cease. There is a danger that in our safety we have fallen asleep and missed the call to the radical life of Jesus Christ. In our slumber we miss the challenge and the call to be people who stand up for our faith. The persecuted church is a gift because, like a mirror, they reflect back to us what true commitment to the way of Jesus looks like. On the same trip to Lebanon, one church leader said to me, “I’ve seen many survive persecution but not many survive prosperity.” Are we in danger of sleeping through our faith like prosperity addicts? When I look at my own faith, it’s made up of prayers for health, wealth and prosperity. But then I hear the prayers of the persecuted church: “Might we be bold and courageous, would we hold on when persecution comes and would we be faithful at all costs.” How do our prayers differ? What has happened to my faith that means Jesus has become my prosperity vending machine? Can we let the persecuted church be a gift to you and I, to help us step up, have no halfway commitments, and be the people who look like Jesus? Can I challenge us to pray that we might be more like them? Can I challenge us to pray not ‘for’ but ‘with’ the persecuted church? May our prayers for them not be about giving them our lives, but would it be about God strengthening and encouraging His people. Prayers for strength to hold firm in the face of persecution. Prayers for the persecutors to come to faith. And let us also pray that we might wake up and allow the faith of thousands of Christians in the Middle East shape us and our commitment to Jesus. 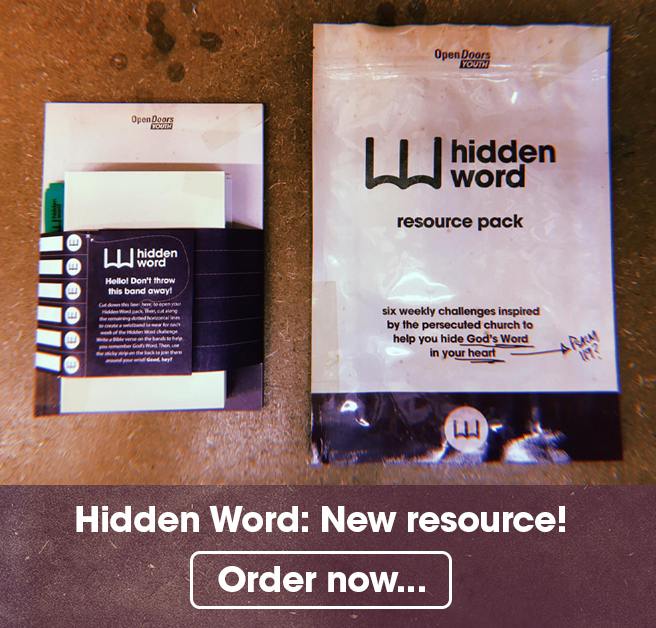 Isaiah 45:3 tells us, “I will give you hidden treasures, riches stored in secret places, so that you may know that I am the Lord, the God of Israel, who summons you by name.” Could God be trying to give you a ‘hidden treasure’ that comes from a ‘secret place’, somewhere you weren’t expecting? Pray with the Syrian pastor that Cris met – that God would save Syria, that millions would be drawn to Christ, for boldness and courage for our brothers and sisters in the Middle East, and that His light would shine through the church there. You can help the church in Lebanon to continue to show radical love to the Syrian refugees they are serving. Give a gift to support the work of Open Doors local partners in Lebanon and the Middle East. 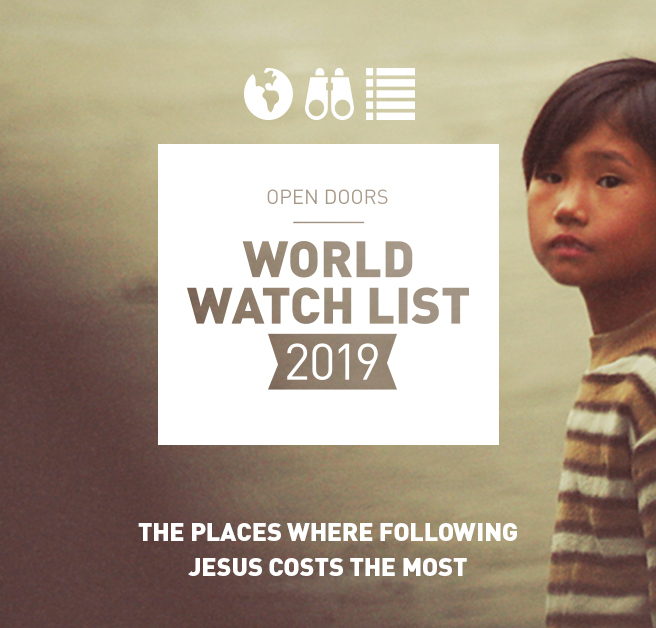 In Syria itself, Open Doors local church partners are keeping 12,000 families alive with vital aid such as food and medicines, alongside long-term projects. Every £10 could provide a week’s emergency food supplies for a displaced family in Syria who have no other means of support. This could include food, clothing, medicines, shelter, and heating during the freezing winter.